We take pride in being part of the Sidney-Shelby county community, which is why we are dedicated to giving back. We make it a priority to participate in community service events for the area. In 2018, we had a Facebook campaign to generate awareness and raise money for our local animal shelter. SCARF, the Shelby County Animal Rescue Foundation, is building a new facility. We had patients post picture of their pets and made a contribution for every picture posted. We made a donation of $500 to SCARF and had great fun seeing all of the smiling pet pictures! We partner with our local YMCA every year to “Drive for a Cause”, a local fundraising event to help raise funds for the YMCA foundation. As a team we enjoy test driving new cars as part of the day. We are one of the sponsors for a 5K run to support Shelby Hills Early Childhood Center. This facility provides exceptional services for children with developmental disabilities. We sponsored a charity whitening day in which we raised over $6,000 for the Alpha Center, a community center that supports at-risk adults, children, and families. We hosted a similar event and raised $1,300 for New Beginnings, a shelter for battered women. We are dedicated to educating the public about oral health care, which is why we participate in health fairs every year. We bring oral health care products and perform free oral health care screenings. We also educate about TMJ, sleep apnea and sleep appliances to eliminate snoring. Because good dental habits start at an early age, our hygienists give presentations at local preschools whenever invited to teach children how to care for their teeth. Dr. Van Treese is also a proud supporter of the “Give Kids a Smile” program, sponsored by the American Dental Association. This program helps give children free dental cleanings and restorations. He has chaired this program in Shelby County for the last 15 years. Dr. Van Treese is very active in his church. In 2008, he ventured to Haiti for a mission trip. Although the trip was not dental focused, he made sure to bring some fluoride along to give treatments to local children. 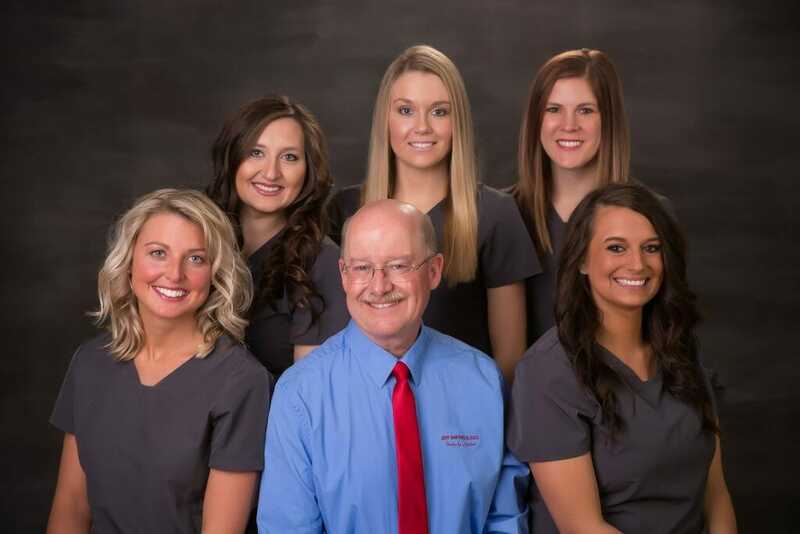 Additionally, Dr. Van Treese regularly volunteers at Compassionate Care in Sidney, which gives free dental services to families in need. Serving and giving back to our community is a part of who we are and what makes our practice unique. We are proud members of the Sidney-Shelby county community and are happy to help in local events.